Accelerate Your Application with Corent's PaaS Solution. 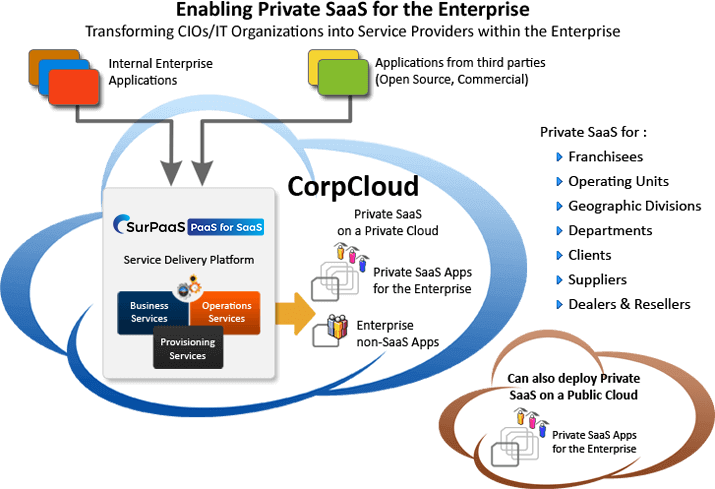 SurPaaS® offers multiple SaaS models specific to your line of business. Knowing your technology partners and analyzing your SaaS offering, SurPaaS® suggests the most suitable solutions adaptable across your business channels. Clicking your choice takes your business to production. With Microsoft ending extended support for Windows Server 2003 in July, many companies are still evaluating their options for migrating their platform. An application consists of multiple workloads, which are the essential building blocks of your application. 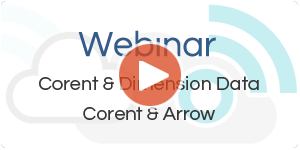 Getting through the migration requires not just Windows expertise, but also the knowledge of your app portfolio which Corent can provide. SurPaaS® Analyzer scans and builds the workload map of your application to its finest details, and generates reports for an easy windows server migration. Solution models that SurPaaS® offers are based on in-depth analysis of the application environment. It analyzes all layers of the application environment including software binaries, operating environment, application frameworks, and micro-workloads. In built with many patented intelligence, it offers most suitable and optimal SaaS models resolving your specific concerns. Cloning its intelligence, you too can perform what-if analysis and predict outcome scenarios. Without any code-level changes, within a few days, SurPaaS® can SaaS enable any number of applications and deploy them onto the preferred Clouds. Irrespective of the deployment location, customers self-provision very easily and use the required applications at once. Synchronized with established processes of application development and deployment, SurPaaS® continuously provisions customer valued services and release management. Cloud Providers with SurPaaS® become more than IaaS and PaaS vendors, they become SaaS enablers with the "PaaS for SaaS". The topology models of SurPaaS® offer productivity-enhancing integrations without the hassle of ownership and maintenance costs. These models integrate the workloads at various clouds, align their interactions with business processes; and, remain nimble to work with new applications and changed technologies. Based on your needs, you can quickly deploy your preferred integration model on public, private, and hybrid Clouds. To work in your existing or preferred business ecosystem, integrate third-party Cloud Providers, Billing Providers, and Messaging Forums with SurPaaS®. SurPaaS® synchronizes its data and services with these external systems offering the same capabilities that your service provider provisions. Ensuring the tenant specific data isolation it also offers role based access controls to respective third-party systems. Have the most wanted real-time Cloud operation solutions and profitable SaaS performance models, which hundreds of ISVs demand. With one centralized platform meeting all SaaS needs, offer solutions for thousands of applications for hundreds of ISVs. SurPaaS® solutions are specific to all Cloud Providers popular among ISVs. You can also provide Planning-as-a-Service to ISVs. In addition, enhance your SaaS offerings with many exceptional upselling opportunities, extended services, and customized pricing. Offer the comforts ISVs seek. Powered with Knowledge Base, offer pricing solutions customizable for different Cloud Providers and ISVs. Map the resource data with their fixed and recurring pricing data for estimated user count; and, create many pricing models for various ISVs. Use these pricing models for your profit and offer pricing solutions attractive to your customers. With the SurPaaS® metering solutions, identify all consumptions, apply your pricing strategy, and monetize them in preferred billing cycles. Efficiently manage the entire subscription life cycle of your product packages. Using SurPaaS® to provide SaaS Enablement as a Service, Cloud providers and the Managed Service Providers (MSPs) using that cloud are able to rapidly transform software vendors into SaaS Providers. This SaaS Enablement as a Service augments the IaaS and PaaS vendor services offered and provides accelerated time to market for ISVs. Add the values of Open Source! With no capital costs or costly skill sets, profit from the digital disruptions and deliver great digital experience. Open Source applications (OSS) that SurPaaS® deploy require no investments, have low cost failures, receive immediate feedback, and get innovative solutions from huge volunteer base. In a never-before speed, instantly deploy these innovative solutions across your Clouds as well on-premises. Thanks to SurPaaS®, the digital bridge between your SaaS business and your customers can remain strong and shortest.